SAN ANTONIO – Out-of-state buyers acquired four local apartment complexes valued at approximately $150 million, adding to a surge of investment activity in the local multifamily housing market. A Chicago based real estate firm, Sherman Residential, bought the 384-unit Pecos Flats apartments, located at 1210 N. Hunt Lane, on May 2, 2017. 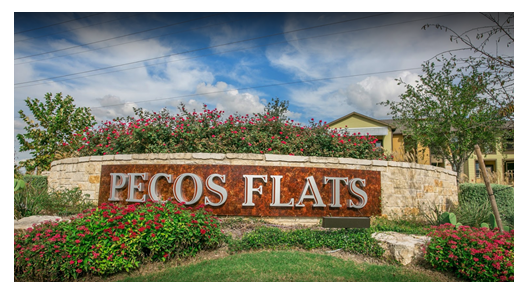 The Bexar Appraisal District has assessed Pecos Flats, built in 2016, at $46.3 million. San Antonio's population growth and its increasingly diverse economy are attracting more real estate investors. Investors have purchased 22 apartment complexes in Bexar County since the beginning of the year, property records show.